The Boogie Band specialize in providing a fully live set of music entertainment for Weddings and Corporate Events throughout Munster. 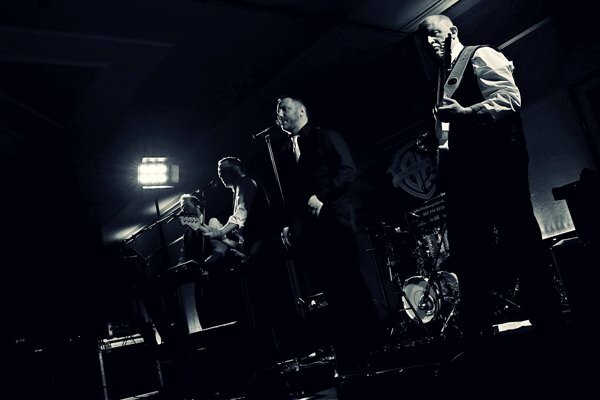 Firmly established as one of the most reputable premier bands from the Cork area, they are renowned for their energetic stage performances and professional musicianship. Drawing on a vast repertoire of songs and musical styles enables the band to adapt their set list to suit any audience. The Boogie Band make sure they keep a few diary dates aside for showcase gigs in various pubs and clubs. For people planning a special celebration, wedding or event, these gigs are an ideal opportunity to experience a high-energy performance by this 5-piece. Passionate performances, extensive repertoires and a high level of musicianship, reinforced with a top-end professional sound system and quality lighting, really make an unforgettable entertainment experience! The Boogie Band is one of the hardest working bands in the Munster area. Always playing a hard-hitting and energetic performance they have built up a great reputation, both in the wedding and corporate event scene in Ireland. To check availability and fees for The Boogie Band for your wedding or event, simply complete the form below, and we will be in touch with a custom quote within 24 hours.